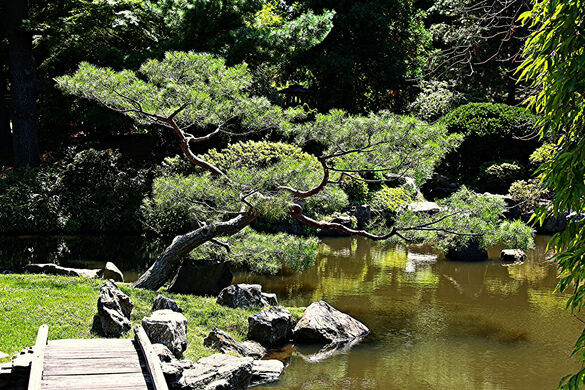 Near the banks of the Schuylkill River lie a garden house and grounds that exemplify centuries-old Japanese design. 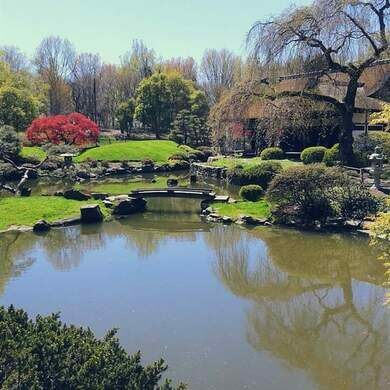 It may come as no surprise that the house was not originally built in Philadelphia—though it was built 80 years after the first Japanese garden arrived in the area! 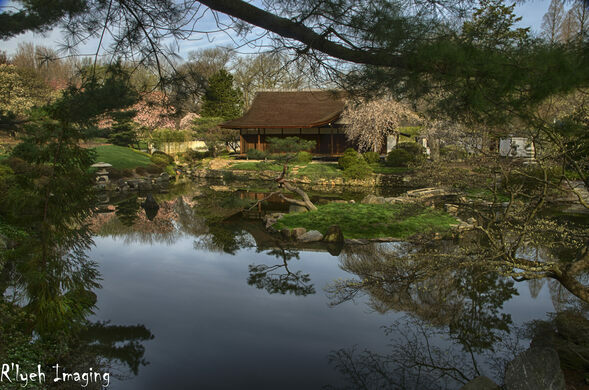 Shofuso Japanese House and Garden stands today in Fairmount Park, on a portion of land adjacent to the first Japanese garden built in America (for the 1876 World’s Fair). 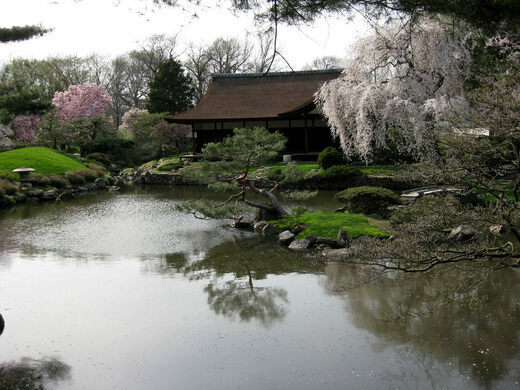 The grounds subsequently hosted a 14th century Japanese Buddhist temple gate, which had been exhibited at the 1904 World’s Fair in St. Louis before moving to Philly in 1905. 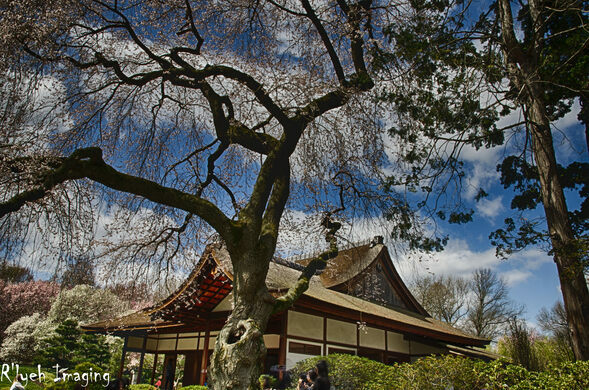 This “Japanese Pagoda,” as it was known, and the adjoining gardens occupied the space until the gate was destroyed in a fire in 1955. As devastating as this loss was, it also cleared the way for a unique Japanese garden house looking for a home. Shofuso (meaning “Pine Breeze Villa”) had been conceived of as part of a Museum of Modern Art exhibition called “House in the Garden.” Built in Nagoya in 1953 and reassembled in New York in 1954 (a gift to the U.S. from the people of Japan to celebrate post-war relations and foster cultural exchange), the house stood in MoMA’s courtyard for two years. 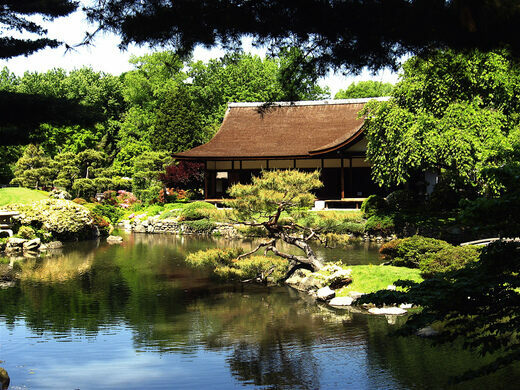 After the exhibition closed, the house was relocated to the Japanese garden in Philadelphia that suddenly found itself in need of a central structure. The transplanted Shofuso opened to the Philadelphia public on October 19, 1958. 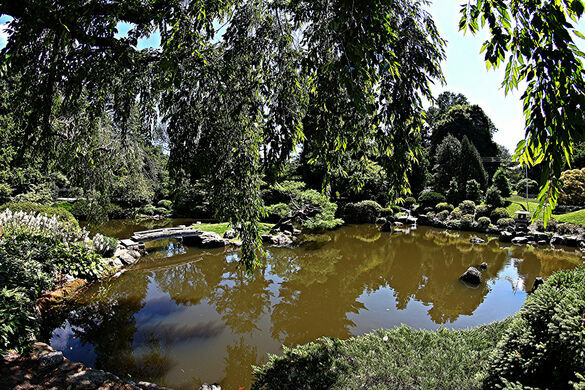 In the same year, the surrounding gardens were redesigned to accommodate the new addition. The house is modeled on an early 17th century temple guest house and exemplifies shoin-zukuri architecture in terms of key details and classical proportions. The building itself includes a tea room, bath, kitchen, and hinoki bark roof (for which special permission was required from Japan’s National Forestry Agency to harvest the cypress wood), while the gardens feature traditional elements such as a koi pond, tea garden, island, and walled courtyard garden. After falling into disrepair, the House and Gardens were thoroughly renovated for the 1976 Bicentennial Celebration. In 2007, renowned Nihonga painter Hiroshi Senju donated 20 murals to replace the originals destroyed by vandalism in the 1970s; the modern murals were inspired by Shofuso’s waterfall and are the only examples of this unique decorative style combining the modern and the traditional to be found outside of Japan. If you visit Shofuso, remember that shoes are required in the garden, while socks or stockings — sans shoes — are required in the house. 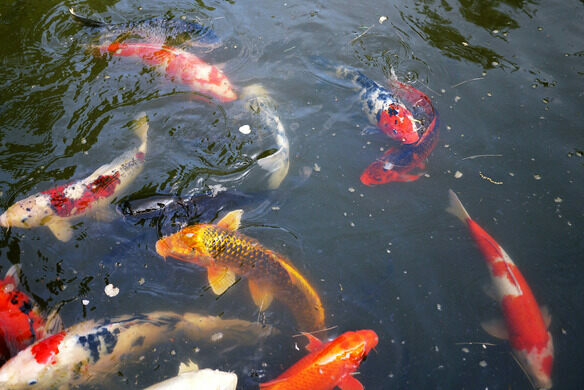 Also, fish food is available, if you want to feed the koi. Free parking. Easy access from Center City with the Philly Phlash and IndieGo bike share. Directions, hours of operation, and admission prices are listed on the official website.